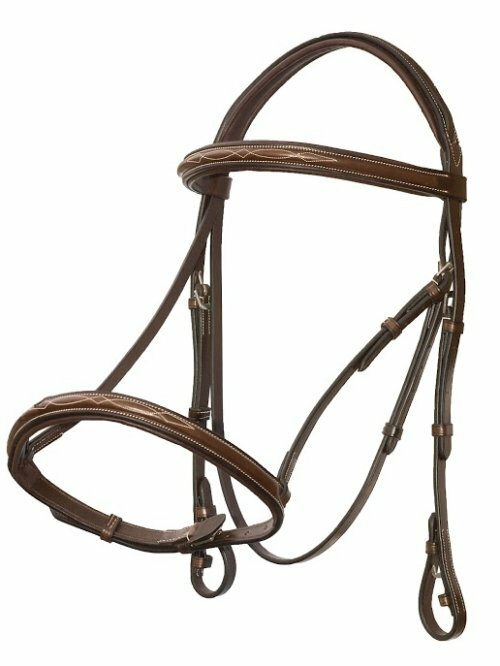 This exquisite, elegant and thin design brings a rich cognac finish to accent the traditional chocolate base of the bridle. 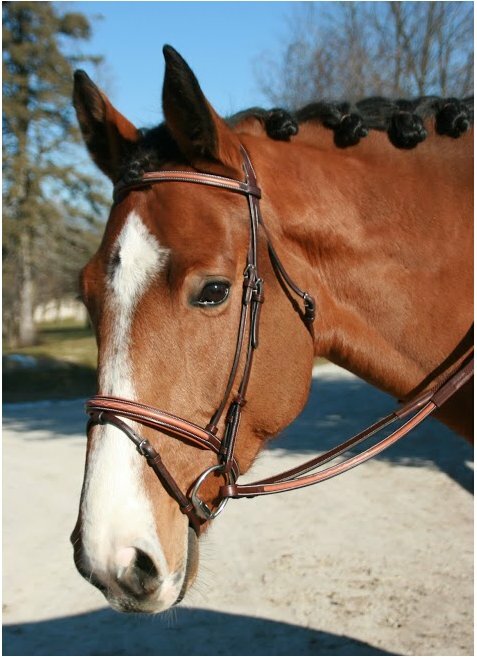 raised, fancy stitched, and padded brow and nose band. 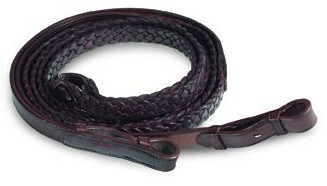 Rubber grip reins included. 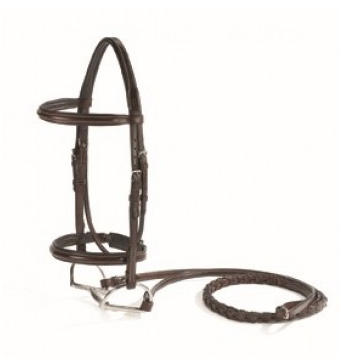 Italian leather, shaped and padded crown, with raised and padded brow band. 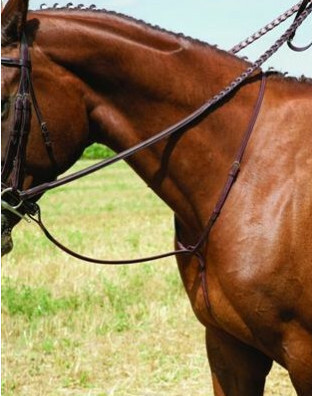 Reins included. 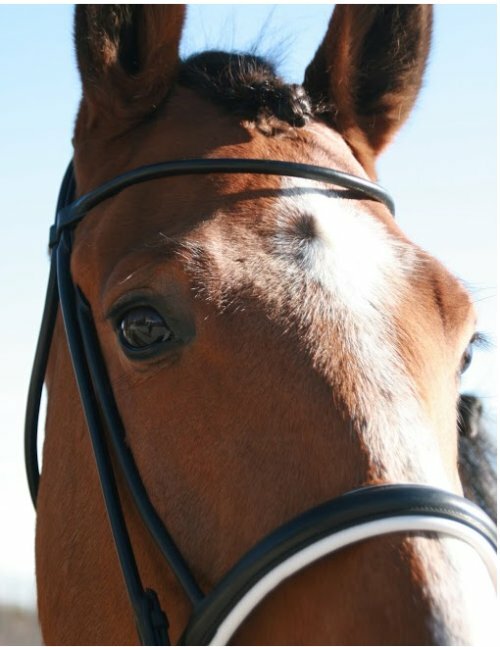 Vespucci's streamlined Single Crown design incorporates the noseband's crown strap directly into the headpiece for a less bulky, more comfortable fit behind the ears and over the poll. 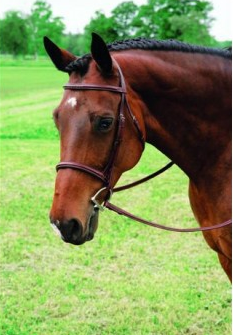 Negative pressure is eliminated, allowing your horse to naturally flex and relax. 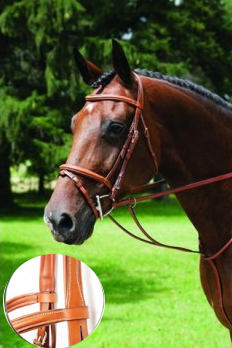 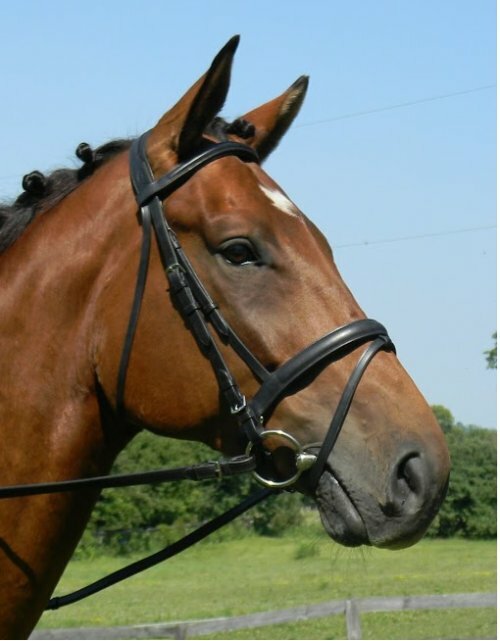 Vespucci's streamlined Single Crown design incorporates the noseband's crownstrap directly into the headpiece for a less bulky, more comfortable fit behind the ears and over the poll. 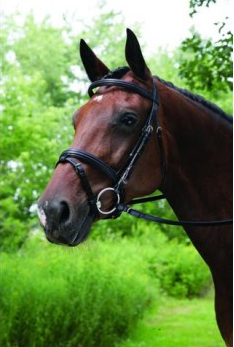 Negative pressure is eliminated, allowing your horse to naturally flex and relax. 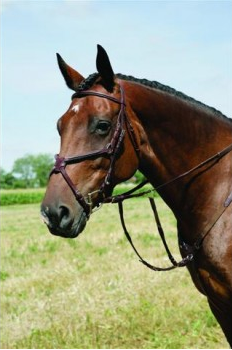 Absolutely beautiful, distincly different, braided leather reins.